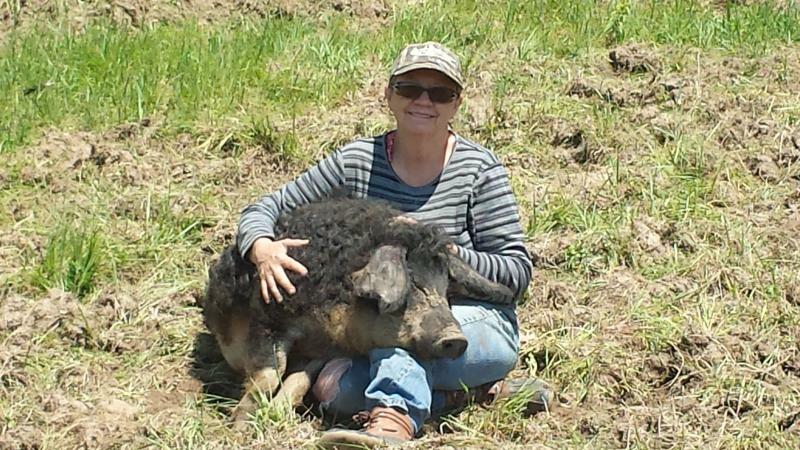 THE BEST DAMN PASTURE RAISED PORK YOU'LL EVER TASTE, PERIOD! 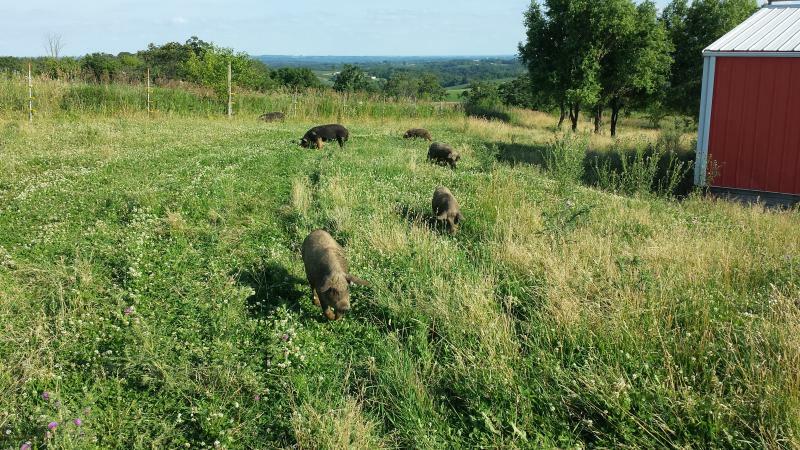 Our pigs are raised NATURALLY & HUMANELY on pasture and are provided with acres of lush grassland to graze, root, run, and play. 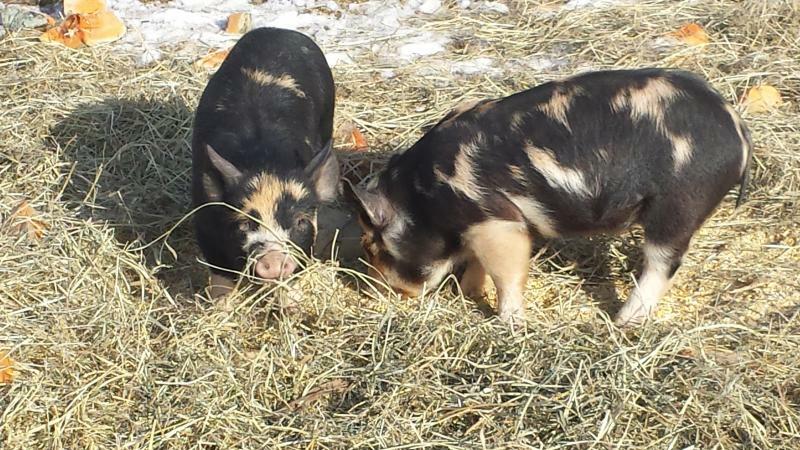 They are HAPPY PIGS, and grateful to have the opportunity to live like a pig was meant to live! Grass fed pork produces the most tender, juicy, and flavorful pork that you will ever enjoy, and that you won't find in the grocery store. Our pigs enjoying life & the view.